Always mindful of current legislation Regarding H&S and the work place will en devour to reach any goals tasked with. Will be a benefit to any employer and an asset to your business. Night hygiene oprative Feb 2008－Present 2 Sisters Food Group uk － Llangefni, Ll My main duties in this role was to maintain hygiene standards to the highest possible levels.Also to be able to work using own initiative with minimal supervision also to be able to adhere to relevant COSH and food hygiene regulations.Also to adhere to current H&S law. 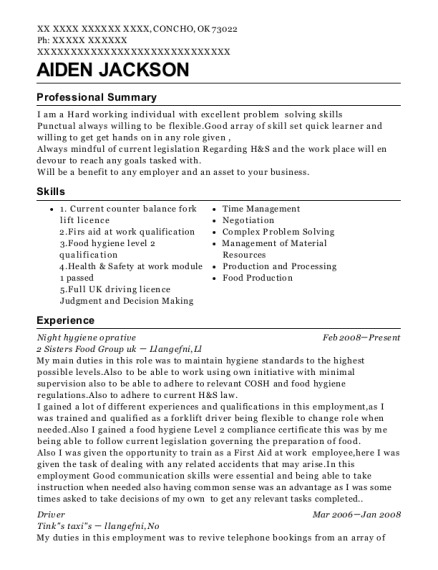 I gained a lot of different experiences and qualifications in this employment,as I was trained and qualified as a forklift driver being flexible to change role when needed.Also I gained a food hygiene Level 2 compliance certificate this was by me being able to follow current legislation governing the preparation of food. Also I was given the opportunity to train as a First Aid at work employee,here I was given the task of dealing with any related accidents that may arise.In this employment Good communication skills were essential and being able to take instruction when needed also having common sense was an advantage as I was some times asked to take decisions of my own to get any relevant tasks completed..
Driver Mar 2006－Jan 2008 Tink"s taxi"s － llangefni, No My duties in this employment was to revive telephone bookings from an array of customers and plan the Day or Night ahead. Excellent communication skills and book keeping was essential in this role,time keeping and punctuality were also a must as we were tasked with school contracts that were carried out on a daily basis so the need to be on time was essential. Also the need to keep all vehicles clean and presentable was a high priority as most often than not our business relied on word of mouth and good experiences. Fork lift/ Store room oprative May 2004－Jan 2006 Glambia Cheese － Llangefni, Ll My duties in this role was to prepare adequate stocks of pallets/boxes to keep up with all product that were coming off the production lines. Also I was tasked with receiving the relevant orders for that day and source the right amount of boxes and pallets that were to be going out with a particular order Also good communication was was a high priority as not mix orders and their amounts up also to relay to production for them to be able to change orders as and when needed. Also a high priority was H&S in the work place as I was tasked with rotating stock within the chiller system good awareness and the ability to anticipate when pedestrians or costumers were about was a must. Hygiene/General oprative Feb 2001－Jan 2004 Cymru Contry Chiken － Llangefni, Ll My duties here were to work on the dicing department on a 6/2 2/10 shift here I was tasked with the sourcing of the right production meats for any particular order.I would be given a order sheet for that day and tasked with completing it there was several employees in this department and each had there specific roles so working as part of a team and to a deadline was essential. I was also tasked with informing the maintenance department if there was an issue with the machinery. Also I was asked to hand over any relevant information to the next shift that were following us. Also during this employment I was transferred to the Day hygiene department my duties included to clean all relevant areas under my control and to rinse down inside the factory whilst they were on break,Here I was asked to keep exellant standards and good communication skills. Yard assistant Apr 1999－Feb 2001 Home Build supplies － Llangefni, Ll My role in this employment was to assist with the day to day running of the yard. Each morning we were given order sheets with what was being delivered by our two wagons that day,As I had a forklift licence I was responsible for loading all heavy material on and off the wagons and ensuring the right material was on the right wagon. Also we were tasked with receiving new stock that would come on to the yard and store them in the right location also I would sign off any paper work relevant to the delivery so good communication and stock controlling was a must. I was also asked to be ready to assist any public costumers that would come on to the yard so good costumer service was essential as I was sometimes the first point of contact for the company. We were at the end of each year asked to carry out a stock audit to verify if the material on the yard corresponded with what was on the company's computer system,so an eye for detail was needed. Also exultant H&S awareness was essential as to the environment we were working in and that the public were coming on to site. 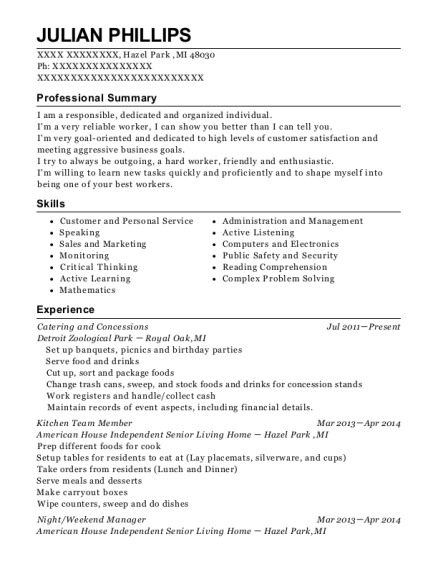 This is a resume for a Night hygiene oprative in CONCHO, Oklahoma with experience working for such companies as 2 Sisters Food Group uk and Tinks taxis. 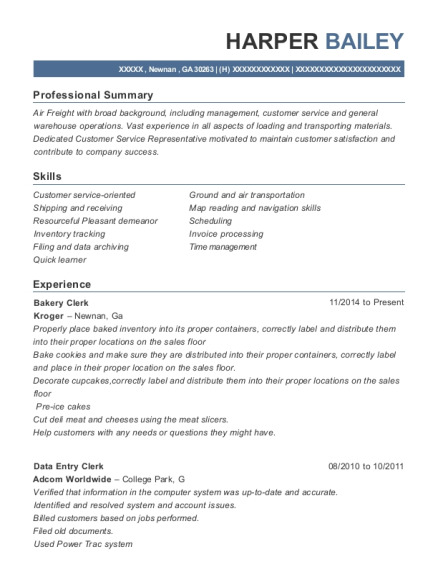 The grade for this resume is 0 and is one of hundreds of Night hygiene oprative resumes available on our site for free. 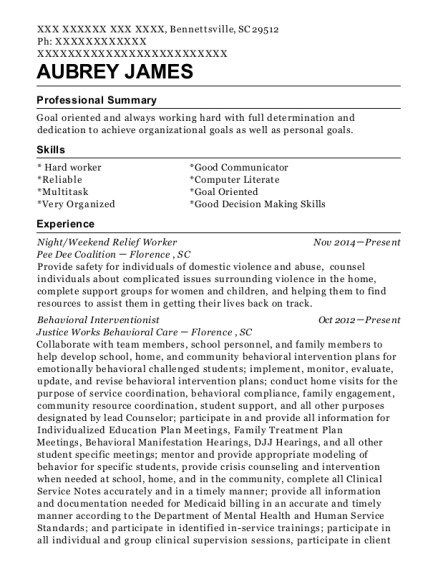 Use these resumes as templates to get help creating the best Night hygiene oprative resume.